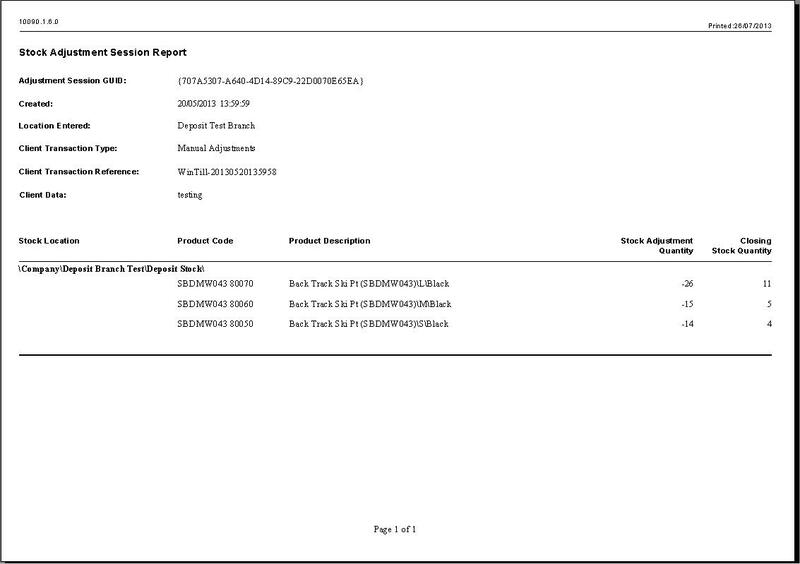 This report details all items contained within the specified stock adjustment session. 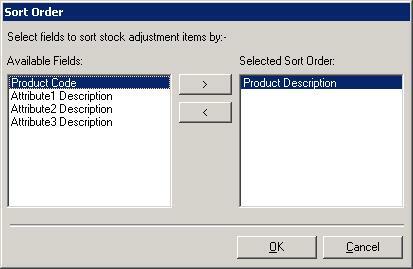 You either need to enter the stock adjustment session GUID, or search for the stock adjustment session by pressing the “...” button next to the Stock Adjustment Session GUID entry box. 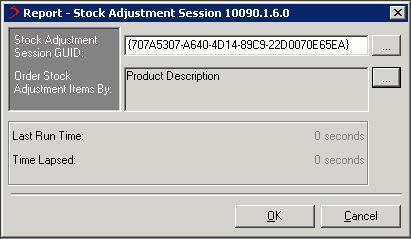 See Searching for a stock adjustment session for more information on the search criteria and results.